The Saudi cabinet, chaired by King Salman, on Monday evening fired army chief of staff and several prominent officers, forcing them into retirement. The government offered no explanation for the seismic upheaval in the Saudi officer corps, but it was widely believed that the palace is impatient with the quagmire in the three-year-long Yemen war, which has created a the worst humanitarian crisis in the world in that country. Yemen has become such a scandal for the Saudi royal family that crown prince Muhammad Bin Salman, widely thought to be the real power behind the throne, has not been able firmly to set a visit to Britain, allegedly because his publicity flacks fear massive demonstrations in London against his prosecution of the Yemen War. MbS himself is thought to have launched that war in spring of 2015. He then went on vacation in an island location and cut off his communications, leaving the US Department of Defense unable to contact him with urgent questions. The Saudi intervention was impelled by the coup made in fall 2014-winter 2015 by the Helpers of God (Houthi) guerrilla movement and its attempt to take over all of Yemen in partnership with troops loyal to the deposed former president, Ali Abdullah Saleh. 1. Muhammad Bin Salman thought that he could wage an air war against a rural guerrilla movement. In other words, he is insisting on repeating all the mistakes of the US military in Vietnam all over again. And at least the US did send in 500,000 troops. The Saudis and their allies have sent in very few. 2. Although the Saudis and the United Arab Emirates were welcomed in Aden, where people are Sunni and many are left of center, and where the Houthis were seen as northern conquerors in 2015, they haven’t been nearly as welcome in the north of the country. Many Sunnis in north and northwest Yemen belonged to the Islah Party, which is more or less the local version of the Muslim Brotherhood, and the Saudis have been collaborating with Egypt to annihilate the Muslim Brotherhood. Likewise, many Sunni tribes in north Yemen were allied with the Houthis against outsiders. 3. The Yemen army split, with the crack troops remaining loyal to former president Ali Abdullah Saleh, deposed as a result of the Arab Spring protests, in early 2012. Saleh in turn allied with the Houthis until recently, when he split with them and they killed him. By now what’s left of the old national army is pretty tattered. 4. The United Arab Emirates is now backing a different faction than Saudi Arabia, and the two Yemeni factions on the ground have clashed in the south, so that the invaders do not have a common front. Yemen had been split into a Communist-ruled south and south-east and an Arab nationalist north and northwest in 1967-1990. When the Cold War ended, the two halves merged, but the south, which is heavily Sunni and Sufi with some strong progressive traditions in cities like Aden, remains resentful of the north, which is disproportionately Zaydi Shiite and tightly connected to the government and the army through the capital, Sana’a. The Zaydis are not Shiites on the Lebanese, Iraqi or Iranian model (the latter are Twelvers) and are famously closer to the Sunnis on many issues. In the 1990s and after the Saudis launched a massive missionary effort in the Zaydi north to convert them to the hard line Wahhabi branch of Islam, which is to the right of Sunnism though nowadays often counted part of the latter. Resentments over this Saudi missionary push and attempt at political hegemony brought the Houthi movement into being, which rebelled against the central government for having let the Saudis run riot in the country. The Saudis blame the successes of the Houthis on Iran, but Iran can’t be proved to have been significantly involved in Yemen, where the Saudis and their allies control the seas and the major ports and the Yemeni border. Saudis and their allies in contrast have spent billions bombing the country back to the stone ages and creating a cholera epidemic from which some one million of Yemen’s 24 million have suffered. 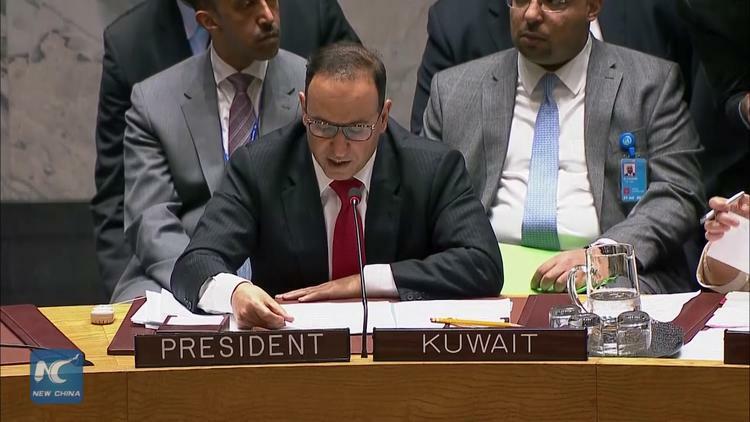 The Russian Federation vetoed a UN Security Council resolution to criticize Iran for sending arms to the Houthis, since the UNSC has an arms embargo on Yemen. Presumably the Russians felt that the Iran contribution is small potatoes (it is) whereas Trump is selling billions to the Saudis and UAE in weapons that are actually being used on a massive scale in Yemen. Hence, heads have just rolled in the upper echelons of the Saudi officer class. We’ll see if the new war commanders have more success than their predecessors. If this war goes on and millions who are on the verge of starvation do actually starve, the long term consequences for Saudi Arabia’s elite will be enormous and possibly even fatal.